So what do you think? Is it too much? Is anyone here planning to buy one? I'm not so sure this camera will be a good seller. As of now, it only accepts the three lenses that Fuji makes for this camera. And I understand it is a little larger format than the Oly Pen series. I'm quite happy with the E-PL2 I bought a few months back and have bought the VF-2 EVF and the Oly 40-150 lens for it. For my needs, the cost of the Fuji is a bit high for what it is. 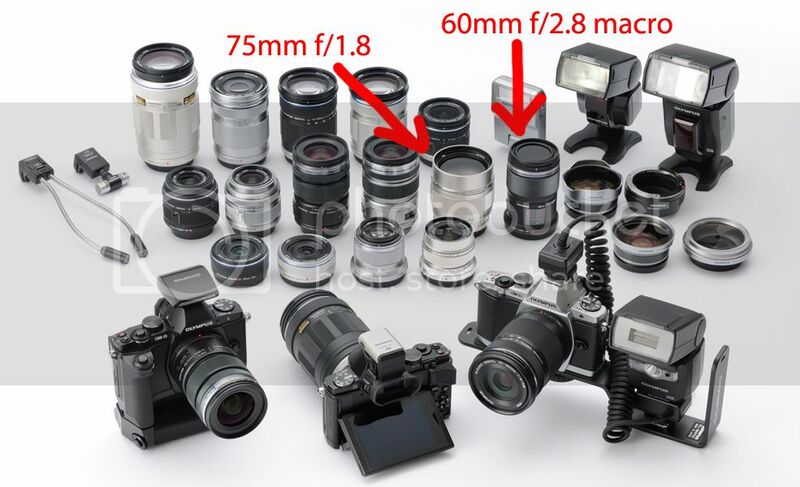 I'm sure the Chinese will soon be making lens adaptors for it before too long. If I were to upgrade, it would be the Oly EP3 and unfortunately you cannot just buy the body, you have to get the kit. I'm not so sure this camera will be a good seller. I don't think that the plan for this camera is to be a "big seller." They appear to be following the Apple philosophy of putting out a product that a certain niche-market will be interested in. It will be a great rangefinder camera, and will be the greatest thing ever if rangefinder cameras are what you want. I don't think this is meant to appeal to photographers who want to shoot in a iwde range of environments. It seems to be mostly useful for street photography, some landscape, and some portraiture, at least until they come up with some zoom lenses. I'm not altogether sure that they will do zooms, though. Are they planning on staying true to rangefinder heritage? They could, of course, utilize zooms and long telephoto lenses with the LCD, but the rangefinder would be hard to use properly. I'm a cheaper date than you. I have the Olympus E-PL2 with a couple of lenses and I'm quite happy with it. I sold my Canon 40D and a few lenses to get the Oly system. I've just got the mule to sell yet that I used to lug all that heavy gear around. With the new OM-D coming out, the uniqueness of the X-Pro 1 has sort of been mitigated. At least it is still a larger sensor. I wonder if the Fuji lens' are really any better than the Olympus offerings. Is the OM-D a micro four thirds or a four thirds? I'm guessing a mirrorless four thirds camera. no, its micro four thirds. Greg posted some leaked images to confirm. I've been reading about the new Fuji X-Pro1 and at 1700 for the body only, it would be hard for me to justify the cost. At that price we’re in the same ballpark as a Canon 7d or Nikon D300s which are some awful nice cameras and a kit can be had for less money than the Fuji with one lens. Looks like a pretty good size camera for a micro 4/3. I guess we will find out what the specs are Wednesday. I'm not going to speculate on anything new Olympus might be doing. However, I do want to point out that what really makes the X-Pro1 special - in my opinion anyway - is the sensor. That sensor has soooo much potential. It's not the same technology but I've got the Fujifilm X10 right now and the image quality is blowing me away. I think this is going to be a really big year for Fujifilm. I am hoping they do something else with the new sensor and I'd also love to see the X10 sensor in a pocket-sized camera. This thing is amazing! Oh, I don't even have the NEX-7 myself (nor one on order). I just have the NEX-5N, and I am so happy with this camera that I have to figure that the 7 can only be better! I'm just saying that if someone gave me a choice of cameras to receive as a gift, I'd take the NEX-7. I know a lot of people would look at me like I'm nuts, but it just pushes the right buttons for me. The only thing it doesn't have that I would really want would be in-body image stabilization. And yeah - the NEX-5N is awesome! I'm working on a review right now. It's gonna be a good one.